Thin Sliced Assorted Pork Chops offer you and your family tender and juicy pork chops at an incredible value. 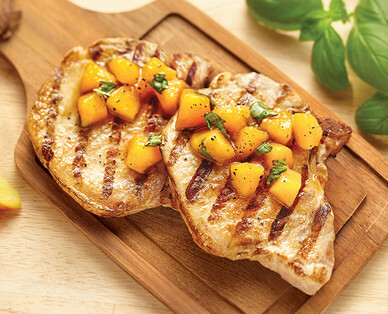 These pork chops are perfect on the grill, pan fried or oven baked. *Quantities are limited. Items may not be available in all stores. Prices and labels may vary by location. We may limit items sold. No rain checks. We are not responsible for printing or typographical errors. We welcome cash, EBT, Visa, MasterCard, Discover, American Express, most debit cards and all forms of contactless payment. No checks please. We do not accept Manufacturers’ Coupons.